1. 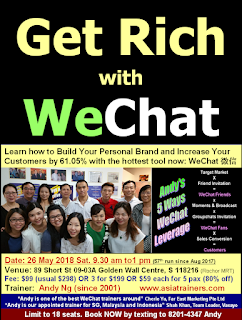 Facebook first, then Instagram, next LinkedIn, if got time then WeChat. 2. Never join any groupchats at all. My friend only types in English and he posts everything on WeChat in English. Solution: Use Google translate and try to post in Chinese too. The reason is 80% of WeChat users use only Chinese and if you don't post in English you are missing out a lot of people. 4. Never use 'People Nearby' feature to add new friends. 5. 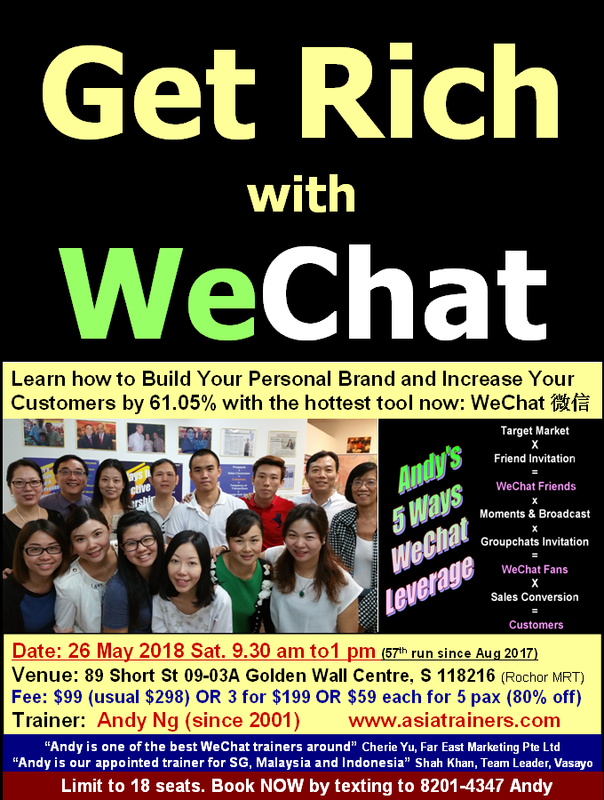 Never explore beyond WeChat page. Everyone knows it is very frustrating to scroll pages on a tiny handphone. To search for certain information in a chat, use the search function. For Moments search, go to the search button and select 'Moments' in your search. Try to search for 'WeChat Training' under 'information' and you may even find my course! PA is not a personal assistant but persistent advertisements! Your account will be suspended in no time! 12. Never comment and respond to people's posts in Moments and groupchats.